Originally published in Unshelved on 2016-10-10. 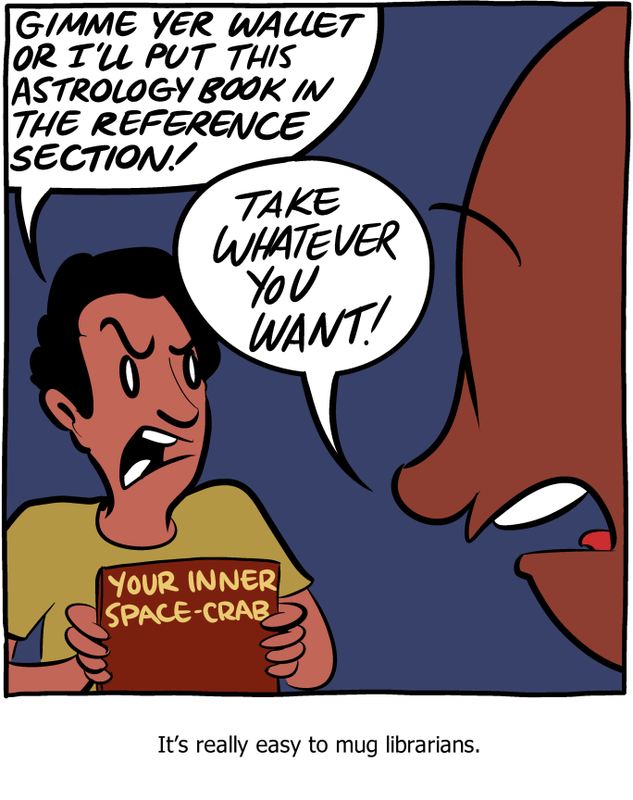 From Saturday Morning Breakfast Cereal. Originally published on 2015-03-19. From Unshelved. Originally published on 2004-02-01. 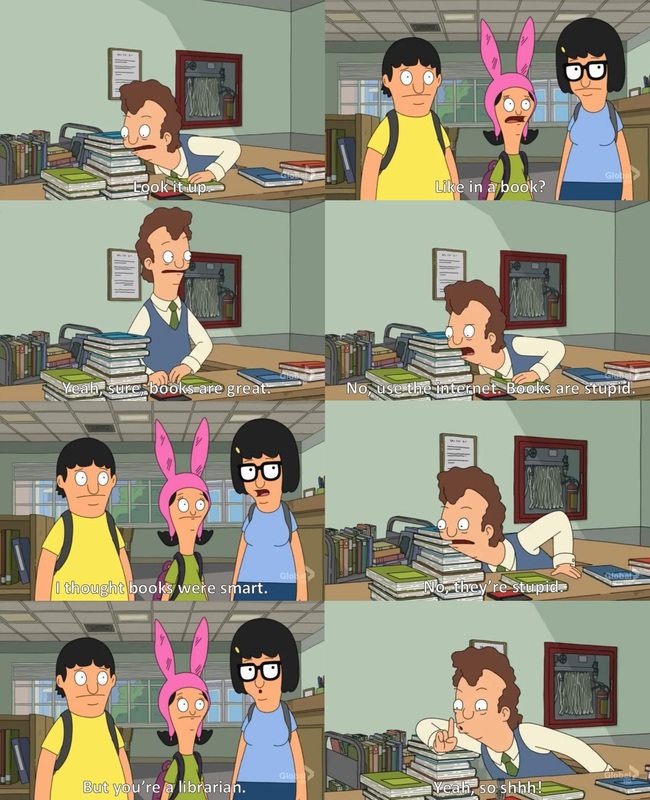 From Bob’s Burgers “Topsy”. Originally aired on 2013-03-10.
via libraries in pop culture. 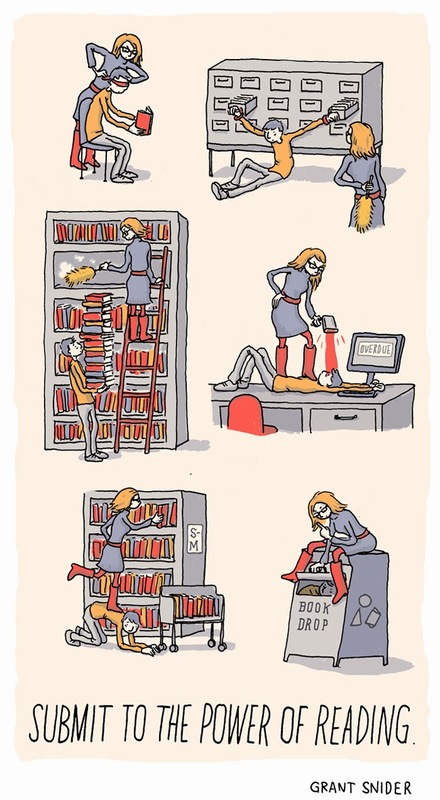 See what happens when your books are overdue? From Incidental Comics. Originally published on 2013-10-08. From Over the Hedge. Originally published from 2013-06-17 to 2013-06-22. From Unshelved. Originally published on 2003-05-22. I got your “real” books right here! From Unshelved. Originally published on 2013-05-12. From Frazz. Originally published on 2004-09-18.